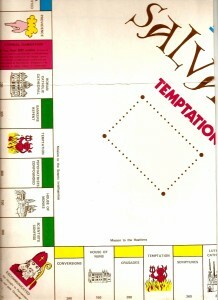 It all began when, as the “false prophet” of the Church of England, I designed a game for people who would like the chance to compete for holiness in the non-serious environment of a board game. 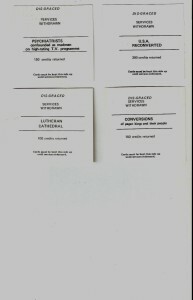 I had already been printing Heavenly Credits to reward people who helped me without any thought of material gain. Each was separately numbered and bore my image and signature as Chief Cashier of the Bank of Heaven. 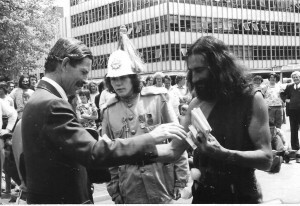 The notes also carried an image of HM The Queen as Head of The Church of England and the NZ Government. To help people understand the workings of a heavenly credit system compared with money, the other abstract reward system, I designed the game as an exact parallel with Monopoly, right down to the colours, rates and positions on the board. I called it “Salvation”. It was suitable for players who liked the orthodox churches with their complex structure and featured bishops and other professional clergy. Instead of The Bank and Money as incentives there was The Church and Heavenly Credits. “Chance” became “Divine Providence” and the “Community Chest” became “Temptation”. Where “Go” is found in Monopoly there was “Amazing Grace” which provided 200 unmerited heavenly credits for players when they passed it. Jail was the Penitentiary. 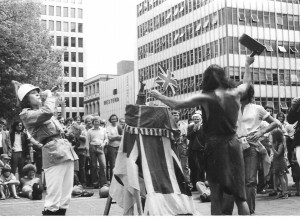 Play began with players being baptized thereby receiving 1500 heavenly credits from the church. The essence of the game was a balance of faith and good works. 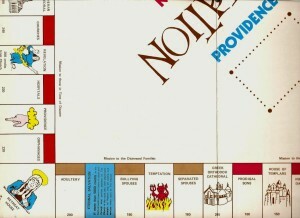 Good works replaced the properties in Monopoly and those who were divinely favoured and obtained a mission (a set of the same colour) could employ professionals to “help” those who landed on them. 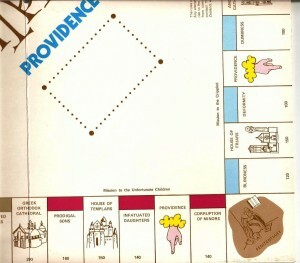 A single house in this game became a priest, two became a canon, three a bishop, four an archbishop and a hotel was a saint. 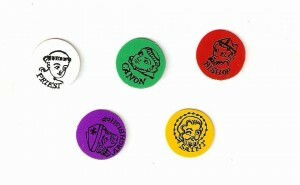 Cardboard tokens were provided for these and little lead figures of pilgrims were supplied for the players. 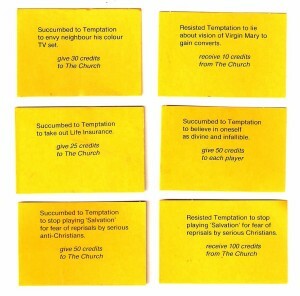 The differing amounts of heavenly credits that were due to the owning player whenever another player landed on the good work was listed on the coloured cards. Each pilgrim had to say “Thank you Brother, or Sister” to the player who helped them even though they would rather not have been. If they showed signs of ingratitude they would be fined by the Church. 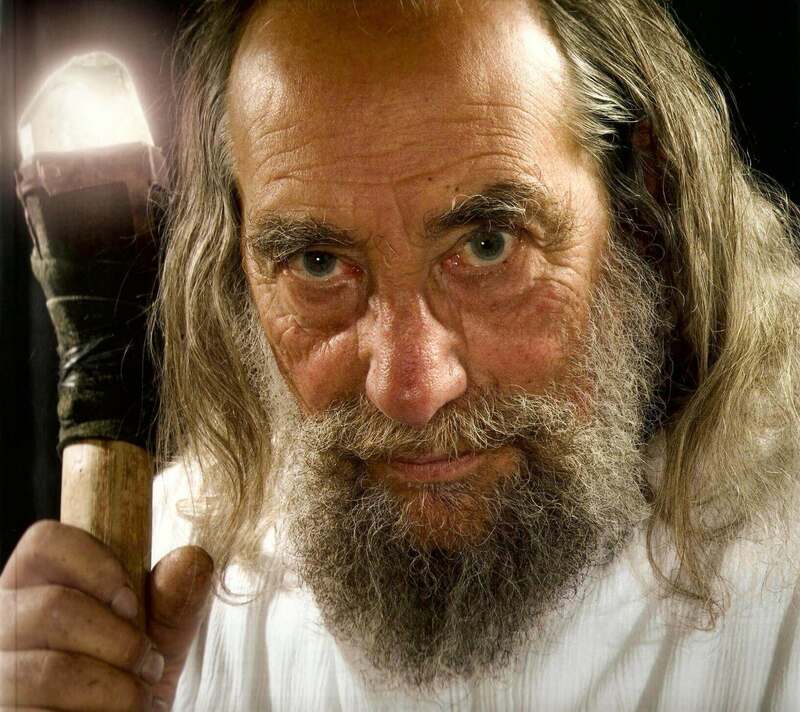 Good works could be mortgaged, disgraced” if a pilgrim did not have enough faith (heavenly credits) to operate them and later “redeem” them once they had enough faith. 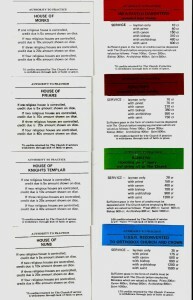 There was an improvement to the rules of Monopoly. 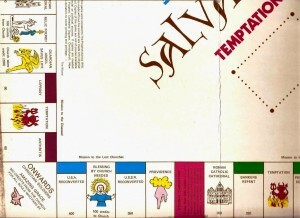 One square was marked “Damnation” and any player who landed there with less than 500 credits in front of them descended into hell and was no longer in the game. Their good works were returned to the Church to be picked up again by other players. Another square was marked “Ascension” and any pilgrim who landed there with enough heavenly credits in front of them ascended into heaven and had won the game. The game could also be won by the last player who had any faith remaining.. 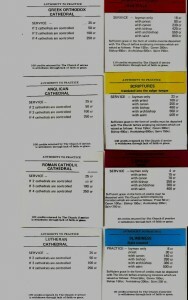 The Good Works were translated from Monopoly as follows; the four Railway Stations were the Anglican, Greek Orthodox, Lutheran and Roman Catholic Cathedrals, the Public Utilities became religious houses of Nuns, Monks, Knights Templar and Friars and monopolies brought significant returns. The missions ranged from simple healing of infirmities to assistance to families in trouble, counseling for husbands, wives and children, and institutions for orphans, the sick and the elderly. 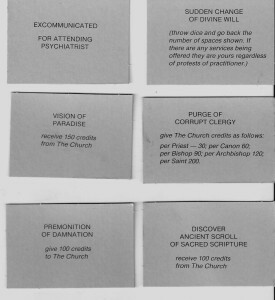 Further along the board the good works became more challenging and better rewarded; starting crusades, converting pagan kings, or converting dangerous intellectual heretics like psychiatrists, bankers and scientists and culminating in the re-conversion of Russia to the Orthodox faith and re-establishment of the Tsar with the re-establishment of the Anglican faith in The United States and their return to the British monarchy as the ultimate good work in the game. 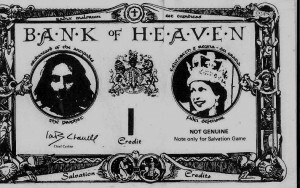 The heavenly credits supplied for the game were clearly marked “not genuine” which had the effect of making the others more real. 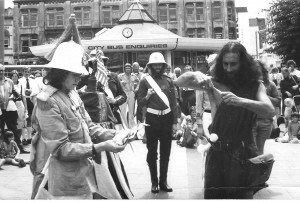 In 1976 after many hours of work by friends assembling the game and a generous donation form Colonel Catford of Alf’s Imperial Army, I sold copies of the game after my speeches in Cathedral Square in Christchurch. I was instantly prosecuted by the City Council for “hawking without a license”. I only sold the game to people who had been listening to my speech and I only charged a dollar a game which cost far more just to print. The City Council’s chief lawyer, Gerald Lascelles, was clearly embarrassed by this and the charges never reached the court. The Prime Minister at this time was Robert Muldoon who had his own ideas on how to run the NZ economy. 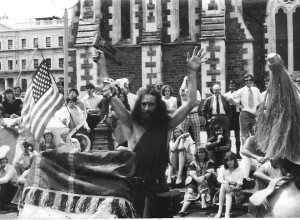 His 1975 election campaign run on the slogan “NZ The way Muldoon wants it,” included a number of rather extreme socialist measures which left his opponents, the Labour Party looking rather naked. Later, the economy in ruins, Labour introduced their world famous right wing reforms. 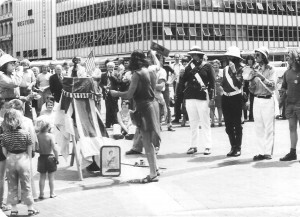 I also paid the officers and men of Alf’s Imperial Army in heavenly credits after battles and they relished the ritual discipline of Pay Parades. Alas the game has been out of print for years. I’m a bit short of the earthly credits to reprint it. Any offers? Heavenly credits to anyone who wants to help.